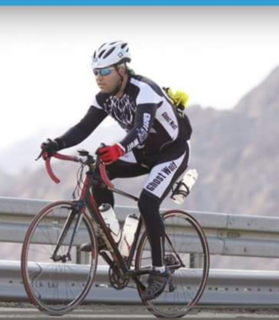 Last weekend I participated in the Israman event, doing the half distance Relay category with my brother, he has been bugging me and my sister to participate in the event with him for years now, and with my sister’s bad back that left me. 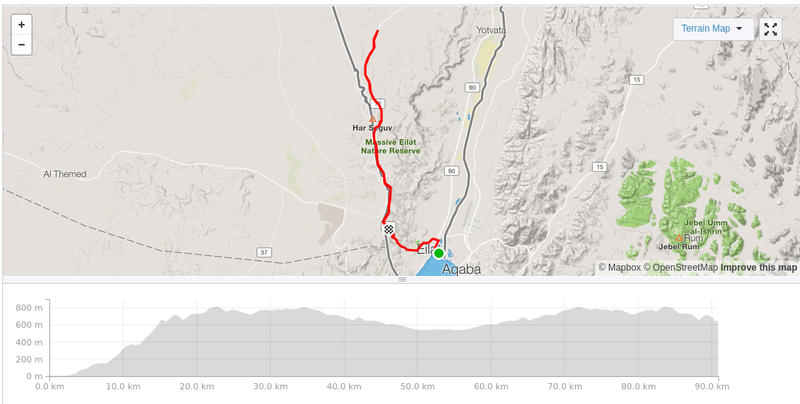 This year, for reasons still unknown to me I agreed and thus found myself on the bike in Eilat doing this ride. Suffice to say that it was not an easy ride, and considering the elevation and the head winds that hit you all the time. The start of the ride was pleasant enough, no winds, about 13C temp and a flat road but as you start climbing in the the mountains it is getting harder and harder to keep the happy thoughts and the composure, and when you finally crest the top of the 15k long climb, then the wing hits you. A 20km/h winds which on the first section of the ride is mostly side wind with some small hints of tail winds, and you know that when you head back to the end point,it is head winds all the way, which it was! and combined with the elevation, terrain and drop in temperature didn’t help much ( on the mountain it was 6C ) when you are trying to push up the road or go down a slope and the wind and bike are playing a wild tango with the steering. Oh, and it turns out I was doing the whole thing while having a slow puncture in my rear wheel, which I was unaware of while I was riding (I had a flat on my front wheel and when I topped it up, I asked the mechanic with the pump to do the same for my rear wheel, he and I were surprised to learn that I had only 40 PSI in the rear one but I thought it was just my forgetfulness of not ensuring the pressure the night before, so we topped it up and I went back on the bike. I am good with that as I am not a racer. The next morning when I was planning to go on my recovery ride, I got all geared up and out the room then checked the wheels, and lo and behold the rear one is as empty as can be, and I did not want to wake my siblings with the noise of tube change so I had to skip the ride :-(. This entry was posted on Wednesday, January 31st, 2018 and is filed under Rides. You can follow any responses to this entry through the RSS 2.0 feed. You can leave a response, or trackback from your own site.